A third of South Africans live in semi-rural small towns. What does life in small towns tell us about our country two decades into democracy? The “Story of a small town” is a six-part series that takes us to six different places across South Africa to look at how much has changed, and how much has stayed the same. We explore the towns of Mokopane in Limpopo, Howick in KwaZulu-Natal, Bushbuckridge in Mpumalanga, Clarens in the Free-State, Schweizer-Reneke in the North West and Grabouw in the Western Cape. Stories of corruption, pending environmental catastrophes, political hit lists and even death are balanced by stories hope from communities standing united, through one way or another, to eradicate injustices still prevalent in society. 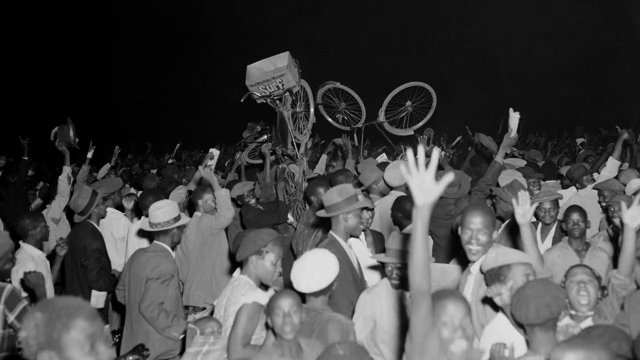 A six-part documentary series spanning 100 years of the pioneering South African township. Built on the boggy edges of Johannesburg, Alexandra is known for its musicians, poets, political leaders, sporting heroes and gangsters. The series includes interviews with over sixty people including Nelson Mandela, whose time in Alexandra inspired his political activism; Louisa Rivers, who truanted from school to join the 1956 Women’s March on Parliament, and the youth leaders who made South Africa ungovernable in the 1980s, leading to the downfall of apartheid. 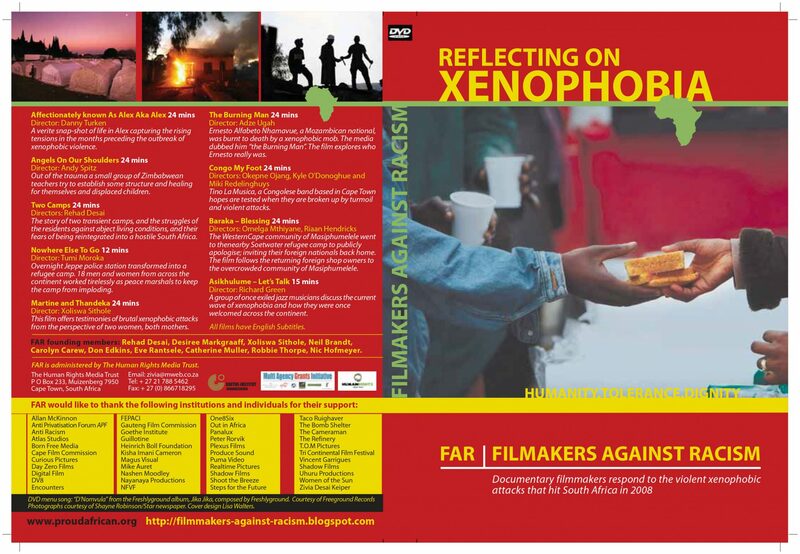 Captures the rising tensions in Alex in the months proceeding the xenophobic violence. Affectionately Known as Alex (AKA Alex). A small group of Zimbabwean teachers tries to create some structure and healing for the displaced children. The story of two camps Jeppe and Cleveland, the refugees and the government. This film offers testimonies of two women, both mothers: Martine following the outbreak of the violence. As a group of once exiled jazz musicians in their seventies prepare for a concert they discuss the current wave of xenophobia. The media dubbed him the Burning Man. This film explores who Ernesto really was. Congo my Foot tells the story of Tino La Musica, a Congolese band based in Cape Town., whose hopes are put to the test as the band is broken up buy the violent attacks. The Western Cape community of Masiphumelele went to the nearby Soetwater refugee camp to publicly apologise, inviting their foreign nationals back home. The film follows the returning foreign shop owners to the overcrowded community of Masiphumelele. Jeppe Police Station transformed overnight into a refugee camp. 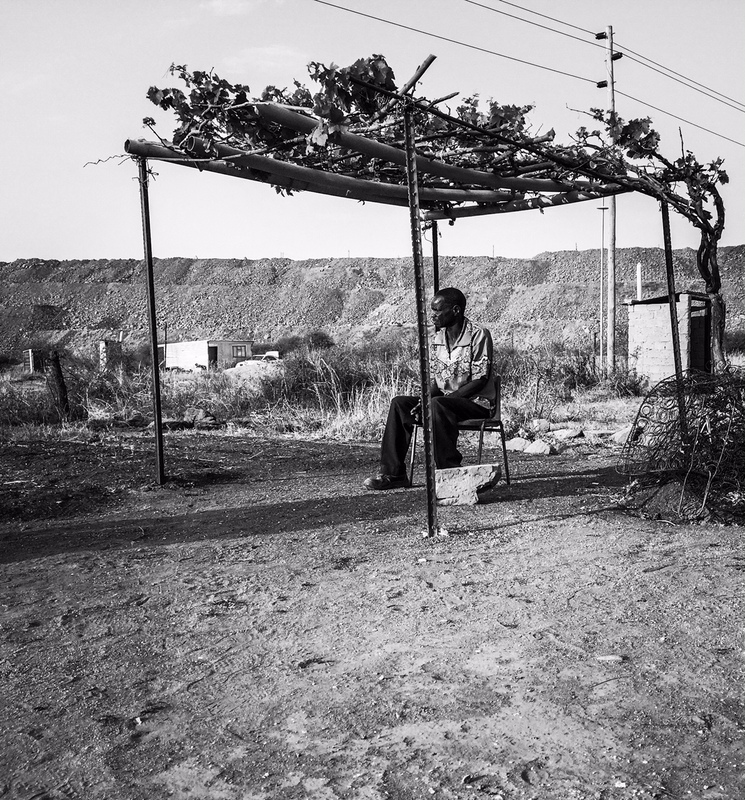 It was in this environment that the Peace Marshalls were formed, 18 men and women from across the continent who worked tirelessly to keep the camp from imploding.